Judaism is not strictly a race because Jews do not share one common ancestry. For instance, Ashkenazi Jews and Sephardic Jews are both "Jewish." However, whereas Ashkenazi Jews often hail from Europe, Sephardic Jews often hail from the Middle East via Spain or Morocco. People of many different races have become Jewish over the centuries. Although today Israel is often called the Jewish homeland, being Jewish is not strictly a nationality because Jews have been dispersed throughout the world for almost 2,000 years. Hence, Jews come from countries all over the world. To be Jewish means that you are part of the Jewish people, a part of "The Chosen," whether because you were born into a Jewish home and culturally identify as Jewish or because you practice the Jewish religion (or both). Cultural Judaism includes things such as Jewish foods, customs, holidays and rituals. For instance, many people are born into Jewish homes and are raised eating blintzes and lighting Shabbat candles, but never step foot inside a synagogue. According to Orthodox and Conservative Judaism in America, or by traditional standards worldwide, Jewish identity is automatically bestowed on babies of Jewish mothers. In Reform Judaism, Jewish mothers or fathers, not just the mother's lineage, results in a Jewish child. This Jewish identity stays with them throughout life even if they don't actively practice Judaism. Religious Judaism includes the beliefs of the Jewish religion. The way a person practices the Jewish religion can take many forms, and partially for this reason, there are different movements of Judaism. The main denominations are Reform, Conservative, Orthodox, and Reconstructionist Judaism. Many people who are born into Jewish homes affiliate with one of these branches, but there are also those who do not. If a person is not born Jewish, s/he can convert to Judaism by studying with a rabbi and undergoing the process of conversion. Merely believing in the precepts of Judaism is not enough to make someone a Jew. They must complete the conversion process in order to be considered Jewish. The most stringent conversion process is accomplished in Orthodox Judaism and can be recognized by all sects of Judaism. Reform, Reconstructionist, and Conservative conversions may be recognized within their own branches of Judaism, but may not be acknowledged according to Orthodox standards or in the state of Israel. Though the different branches of Judaism have varying requirements for conversion, it is safe to say that the conversion process is very meaningful for whoever decides to undertake it. 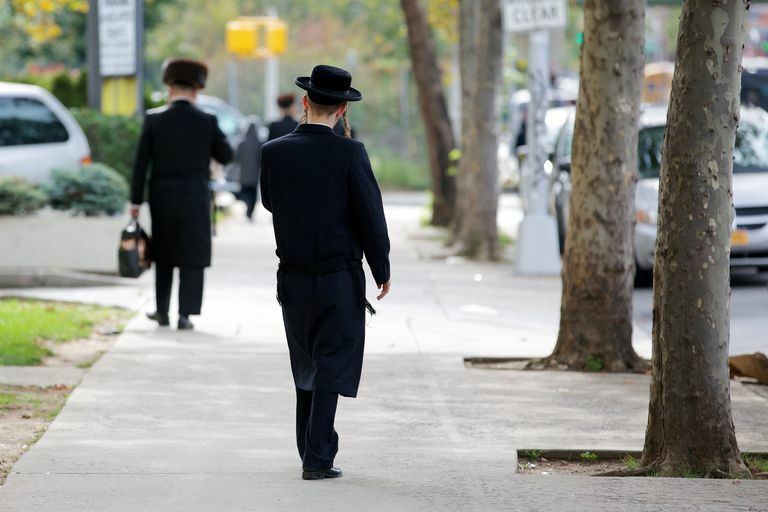 Ultimately, to be Jewish is to be a member of a culture, a religion, and a peoplehood. Jews are unique in that they are one of the few, if only, "people" in the world that encompass both a religious, cultural and national aspect. They are often referred to as Am Yisrael meaning the "People of Israel." To be Jewish is to be many things all at once. What Do Jews Believe Happens After We Die? What Is a Mezuzah and How Do You Use It? Is a Mitzvah Just a good deed? Or Does It Refer to Something Specific?